maxon RE motors are energy-efficient DC motors equipped with powerful permanent magnets (rare earth). The centerpiece of the motor is the worldwide patented ironless rotor. This means cutting-edge technology for compact, powerful drives with low inertia. Thanks to the low mass moment of inertia, the DC motors have a high acceleration. For more information on these motors please visit our website or call + 61 2 9457 7477.
the maxon brushed DC RE motor. Customise to suit your application. Motors from 10mm to 35mm diameter. Select your own brush type, bearing type and many other motor features. DC motor position controller upgrades. maxon motors flagship motor controller, the MAXPOS receives software and firmware upgrades. Based on the EtherCAT master control process, the MAXPOS is maxon motors most precise and fastest DC motor motion controller. 100kHz switching of the power stage and also a 100kHz bandwidth on the current controller. The controller can be used with both brushless DC motors and brushed DC motors. To kick start the innovation for 2015 maxon motor have introduced a swathe of new features and upgrades. These include: BiSS-C Absolute Serial Encoder Support, The ability to download firmware over EtherCAT with FoE protocol, Touch probe functionality, Data recording functionality in the MAXPOS studio software, Auto control of holding brakes and support for Standstill Window functionality. Along with these new features also comes some improvements to existing functions. USB stability has been improved, it now conforms with the ETG specifications (CTT) enhanced, State change option code objects to CiA 402, the tuning process for high resolution encoders has been improved, use with inverted polarity hall sensors is now accepted and the edge detection of inverted inputs in Homing Mode is improved. The MAXPOS Studio PC software has also been improved with the data recorder panel and general stability improvements. For more information please contact + 61 2 9457 7477. Brushless DC servo motor position controller. 300 6mm diameter brushless DC motors. Small brushless DC servo motors for prosthetics, rehab and haptics. Pictured here is a recent shipment for an Australian customer of 6mm diameter brushless DC servo motors that are destined for use in a medical rehabilitation application. This motor gearhead and feedback combination features a high motor speed capability of up to 100,000rpm on very low 3V, 6V and 12V winding options. There is also the possibility to customise maxon’s coreless winding to suit the desired speed range. The 6mm diameter planetary gearhead can reduce the speed and increase the torque of the motor by up to 854 times. The motor is fitted with a hall sensor network for feedback that gives a state change every 60 degrees. Considering both the speed of the motor and the increased resolution from the gearbox reduction this equates to a high resolution control over the motor. Fitted with multiple stainless steel ball bearings the motor and gearhead offer high radial and axial load levels and the motor preloading controls excessive resonance at such high speeds. In each application the winding constants and the gearhead ratios must be carefully considered to best suit the application. 6mm high speed low voltage brushless DC motor with planetary gearhead. 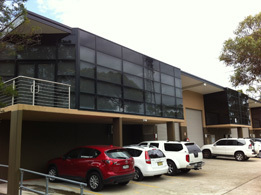 maxon motor Australia have moved to bigger premises. An increase in the demand for the popular maxon DC servo motor and associated DC motor control units has been the driving force behind the move to bigger premises. This has expanded maxon Australia’s local test and evaluation capabilities, allowed for a larger stock holding and offers faster responses to customer delivery demands. Along with the new dedicated Aerospace team maxon motor is well versed to assist customers in emerging and growing markets. With their long life span, high efficiency and compact design, the small DC motors are well suited to the needs of applications in the fields of industrial automation, aerospace, robotics and medical technology. Offering DC motors that can be modified to almost any application, other products manufactured by Swiss engineers include ironless (coreless) DC motors and brushless flat motors; motors with mechanical and electronic commutation, planetary gears, spur gears and special gears, sensors (encoders, DC tachos, resolvers) servo amplifiers and position controllers. Maxon motor Australia is part of a global network of 14 offices and four production sites, employing more than 2000 personnel. With more than 40 years’ experience, constant innovation, top quality products and competent customer service. maxon motor Australia: new premises at Mt. Kuring-Gai, NSW. The leading brand of electric brushed and brushless DC motors will be an exhibitor at the Australian Oil & Gas Exhibition held in Perth from March 11-13. The annual Australasian oil and gas Exhibition & Conference (AOG) is the platform event for the Australian oil & gas industry. 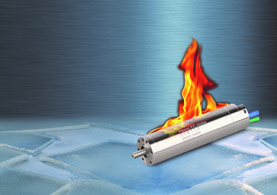 maxon motor is pleased to exhibit and display a range of EC 22 HD (Heavy Duty) electric motors – motors that run in oil at -55°C to 200°C / drops up to 100 G / depths of -5,000m / pressure up to 1,700 bar! As the first manufacturer worldwide maxon motor launched its EC 22 HD – a specialised, yet standardised, electric motor for extremely harsh operating conditions as encountered deep underneath the earth’s surface – from depths beyond 2,500 meters. In conjunction with directional drilling it allows exploration of, so far, inaccessible deposits in drilling depths of currently about 5,000 meters and bore lengths of up to 11,000 meters. Currently, electronics and the respective drives permit more sophisticated monitoring and control in various deep drilling tools, hydraulic valves and flaps that are operated by electromechanic drives. Challenging environments such as temperature and pressure conditions; and high vibrations emitted by the drilling process, have contributed to challenges encountered by electric drive motors for use under these circumstances. 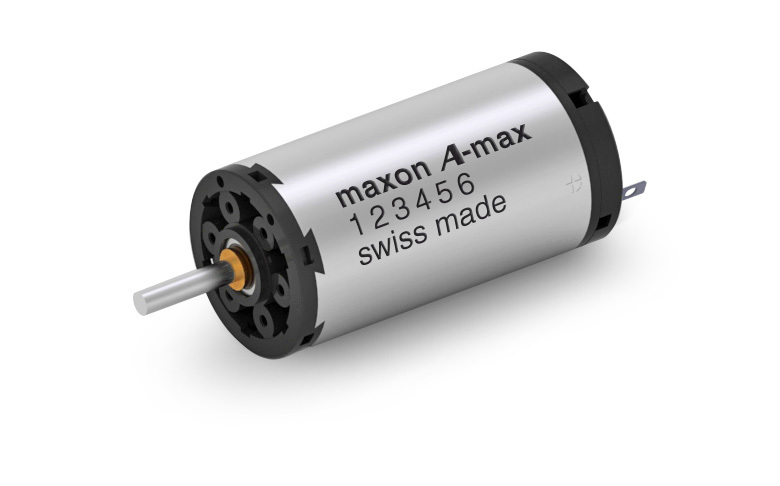 A response by maxon to this specialist situation has been the development of the EC 22 HD motor. The different variants of the brushless EC 22 HD motor were developed for the exceptionally high requirements in deep drilling technology. The electronically commutated motor resists even most extreme conditions in which “normal” drives call it quits. AOG is expected to attract over 600 exhibitors from more than 20 countries, and draw more than 15,000 visitors, exhibitors and conference delegates from around the world to the Perth Convention and Exhibition Centre from 11-13 March, 2015. Pictured above – the maxon EC 22 HD: Ø 22mm motor delivers 80 watts in air and 240 watts in oil. For some time now the ironless A, F, and S motors have no longer reflected the state of the art technology integrated in other maxon motors which means they can no longer be manufactured economically. Order quantities have decreased which has compelled maxon to discontinue these motors in the long term. The motors were launched in the 1970s and 1980s, and they have played a key role in the success story of maxon motor for decades. A, F, and S motors will remain available to customers until the end of 2017 (last delivery no later than June 2018). Because of the sharp increase in production costs, maxon is not able to accept and process small orders after 1 April 2015, thereby introducing a minimum-order quantity. 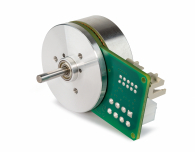 With our RE, A-max, DCX and DC-max series, maxon motor offers a wide range of state-of-the-art ironless DC motors. Any questions can be directed to our Sales Engineers on + 61 2 9457 7477 who can assist with minimum order quantities and alternatives. Brushed DC and brushless DC motors by maxon are resistant to thermal and mechanical shocks making them suitable for aerospace applications. Swiss precision engineering has been the backbone of maxon motors inclusion in such prestigious projects as the Rosetta Mission. 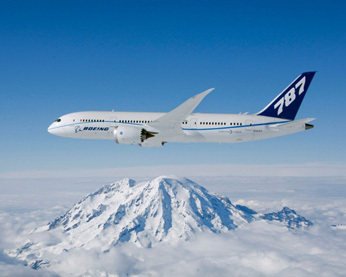 The industry is making fascinating in-roads in space exploration as well as emerging airline technology such as the introduction of the Dreamliner aircraft. Coupled with our customer requirements the Aerospace team was born with a focus on delivering market specific communication, products and services. With their long life span, high efficiency and compact design, the motors are well suited to the needs of applications in the aerospace industry. maxon motor has been a part of projects for climate control and air cushion systems they have also been utilised in autopilots, which significantly reduce the workload for pilot and co-pilots and thus increase the safety on board. Further applications maxon DC motors have been included in are air conditioning, brake flap adjustment, seat and display adjustment, flight recorders, solar sail adjustment, radar systems and luggage hatch adjustment. maxon brushless DC servo motor systems, reduction gearboxes and sensor systems guarantee an excellent climate at high altitudes. The Aerospace team is headed up by Mr Roger Villiger, based in the head office in Switzerland, with a team specialising in aviation, defence and space projects. For more information please contact +61 2 9457 7477 .